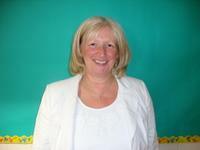 On behalf of the governors and staff, I should like to welcome you and your child to St. Peter’s C of E Primary School. This website has been prepared to outline the organisation of the school, the curriculum and facilities. In addition, I hope you will gain a flavour of the school and a sense of the open and friendly atmosphere. St Peter’s is a popular village school in the heart of Burnham’s community, a voluntary controlled church school and part of the Diocese of Oxford. Our mission statement which underpins all that we do, explains that our school should be a place where each child feels valued, is nurtured and is able to achieve success in all aspects of school life. In order for that to be possible they need to feel safe and secure through the support, wisdom and integrity of the adults who care for them. Gospel values run through all that we do in school. We work hard to create a school where children will always be encouraged to do the best that they are able, to be confident and respectful, to have a sense of justice and fairness and above all to be kind and value one other as part of a Christian community. St Peter’s is a one form entry school, taking children from Reception through to Year 6. We currently admit children from the term after their fourth birthday. We have excellent resources including a computer suite, interactive smartboards in all classrooms, a music and art room. We have extensive grounds with a multi surface games area which provides an area for children to play games on all year round. We have a wide range of after school clubs where children may take part in such activities as football, art, singing, basketball and cookery. We offer support to parents through the provision of a Breakfast club where children may be left from 7.50am and we also provide an after school facility that is available until 6.00pm. We work closely within the local Burnham Parish both to support local charities and to offer our children a sense of belonging and understanding of what it means to be part of a community. We also have strong links with St Peter’s church, attending services at Easter, Christmas, Harvest and other Holy days. During Lent we have an Enterprise week, where children plan fundraising activities for a range of selected charities often designing and making products to sell themselves. We aim to create a close and trusting relationship between home and school so that parents feel confident to be able to speak to staff regarding any area of the child’s education and also for staff to approach parents should they have a concern regarding their child. We hope this website is able to answer many of your questions but please feel free to come into school where you will be warmly welcomed and offered a tour of school plus any further information we can help you with.